US President Donald Trump will not attend regional summits with Asian allies in November but will send Vice President Mike Pence instead, the White House announced Friday. Pence will travel to Singapore to attend the Association of Southeast Asian Nations (ASEAN) summit and the East Asia Summit, it said. He will then go on to Papua New Guinea for Asia Pacific Economic Cooperation (APEC) meetings, the White House said. Trump attended the ASEAN summit in the Philippines and the APEC summit in Vietnam last year. 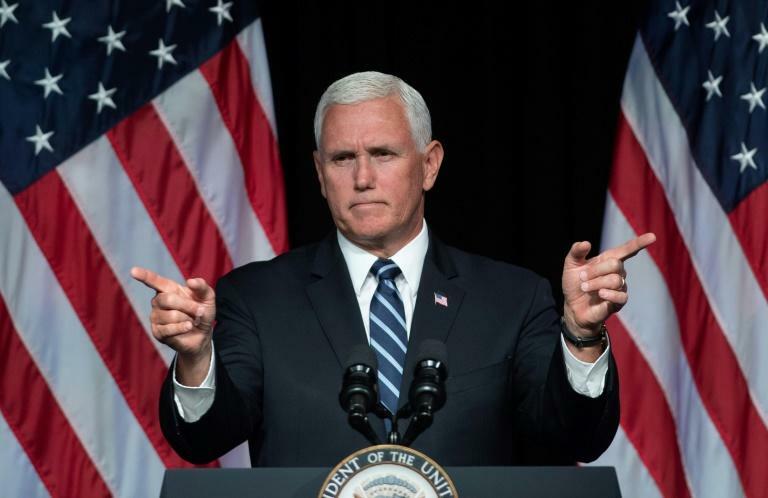 The White House said Pence, while in Asia, would "highlight the United States' vision of a free and open Indo-Pacific, based on respect for sovereignty, the rule of law, and the principles of free, fair, and reciprocal trade. "The Vice President looks forward to meeting with our allies and partners from across the region to advance security, prosperity, and freedom for all," it said. The White House also confirmed Friday that Trump will travel to Paris for the November 11 commemoration of the 100th anniversary of the armistice that ended World War I.
Trump will attend the ceremonies to "highlight the sacrifices that Americans have made, not only during World War I but also in the century since, in the name of liberty," it said. The president will then visit Ireland to "renew the deep and historic ties" between the two countries, the White House said. Later in November, the president will travel to Buenos Aires for the Group of 20 summit, the White House said, and he will make a stop in Colombia on the same trip.